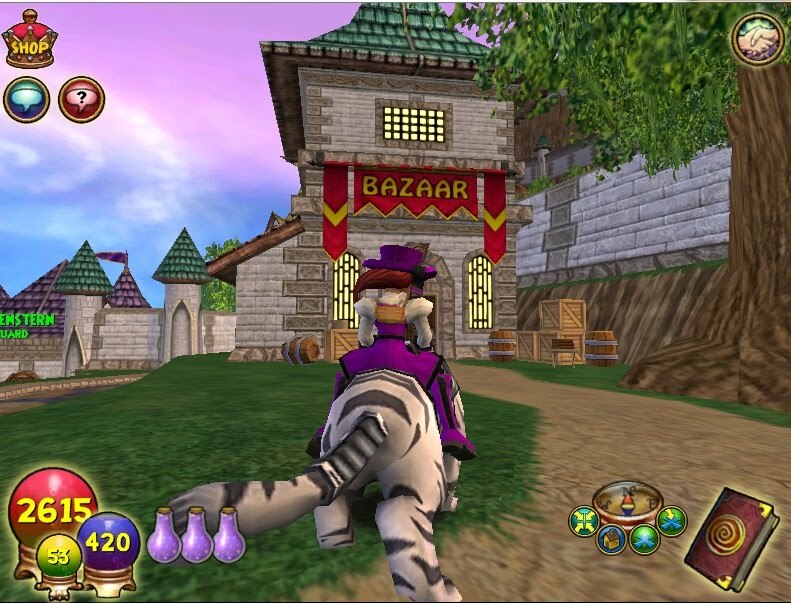 The bazaar ,yes the place we all wizards young and old go to get the most wanted items. 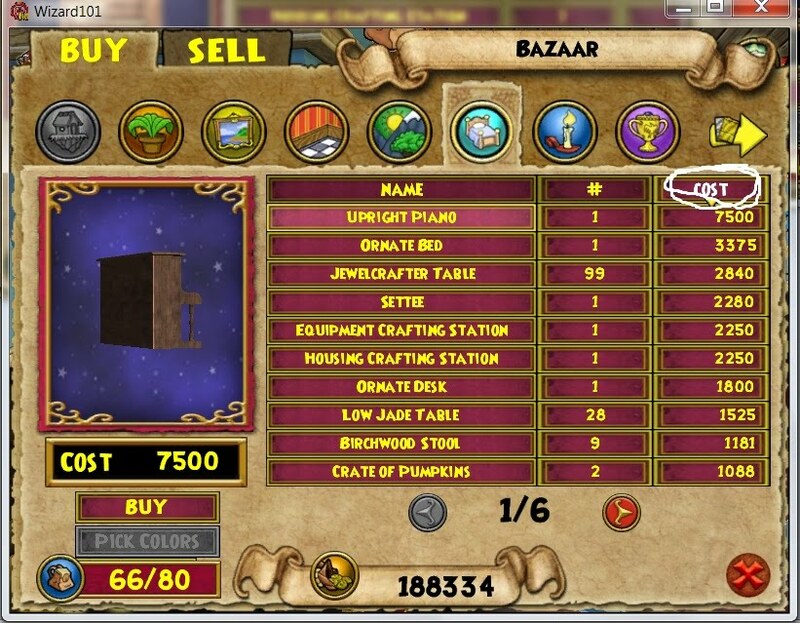 I know we all understand and there are many guides on how to use the bazaar. 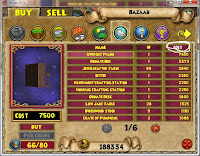 What I want to show you is how to get those items you want. 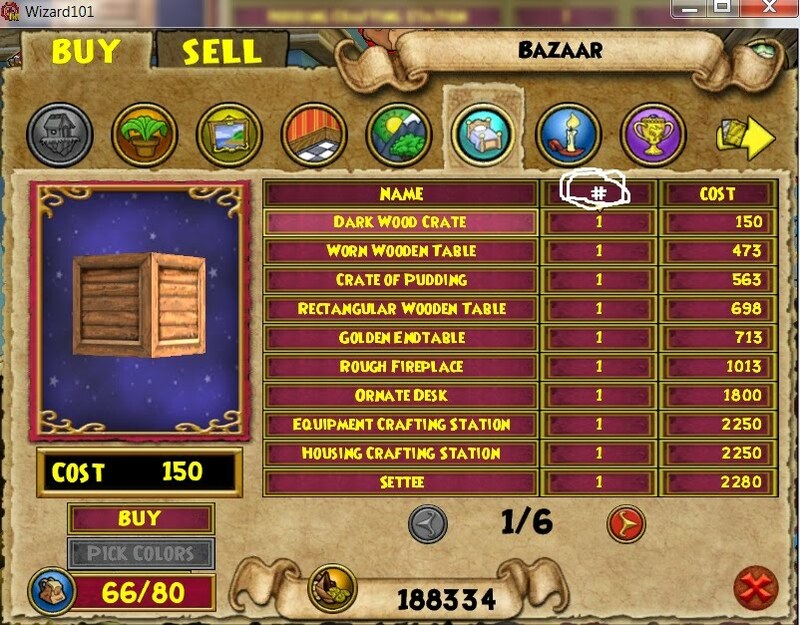 First off make sure you have room in your back pack and enough gold to buy anything you see you might like as a fast pace, remember there are others that might want that same item. 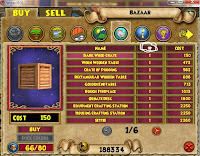 Now you are ready, There are 2 ways to search for items one being # of items in stock and one being cost. Lets click on # in stock Click on it one time, this will take you to every single item that has only 1 in stock. Most of these are the hardest to find. 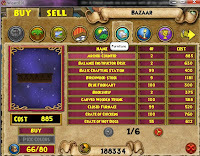 Next way is cost by clicking on cost twice it will lead you to the most expensive items. Now that we got those covered, lets do some fast shopping. 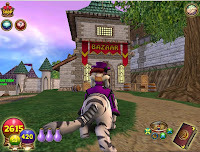 Click on the type of items you want like lets say furniture, I go to highest price for the item I am looking for today which are mini games. 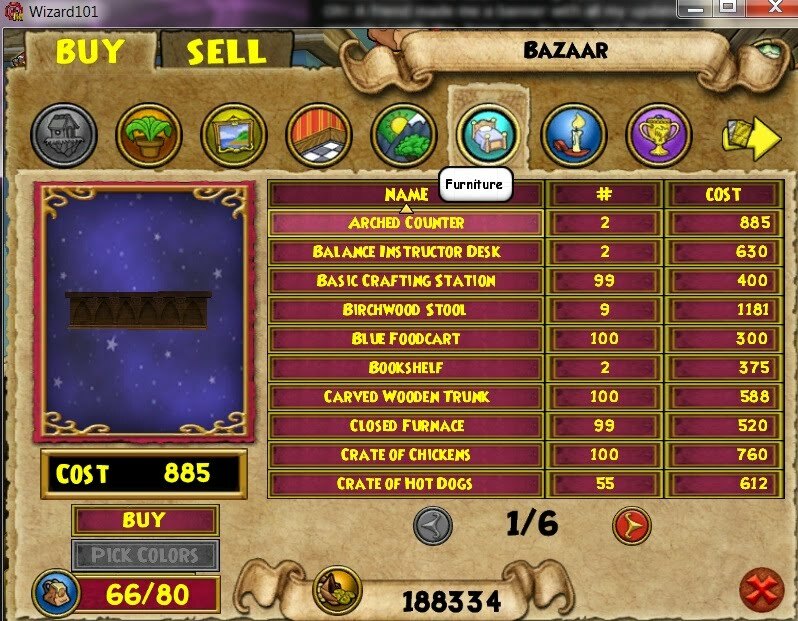 steps are click on bed icon-cost twice- repeat until you find the item you want and then buy takes you clicking on item and then on buy -no hesitating- that will cost you the item you want. This all takes some practice and fast buying. 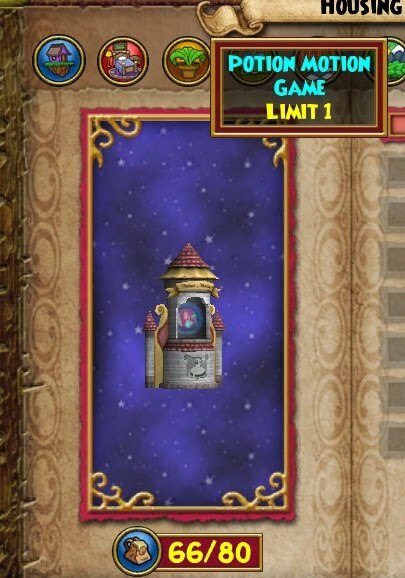 Hope this helps some wizards get those more wanted items, Until next ,happy house decorating.